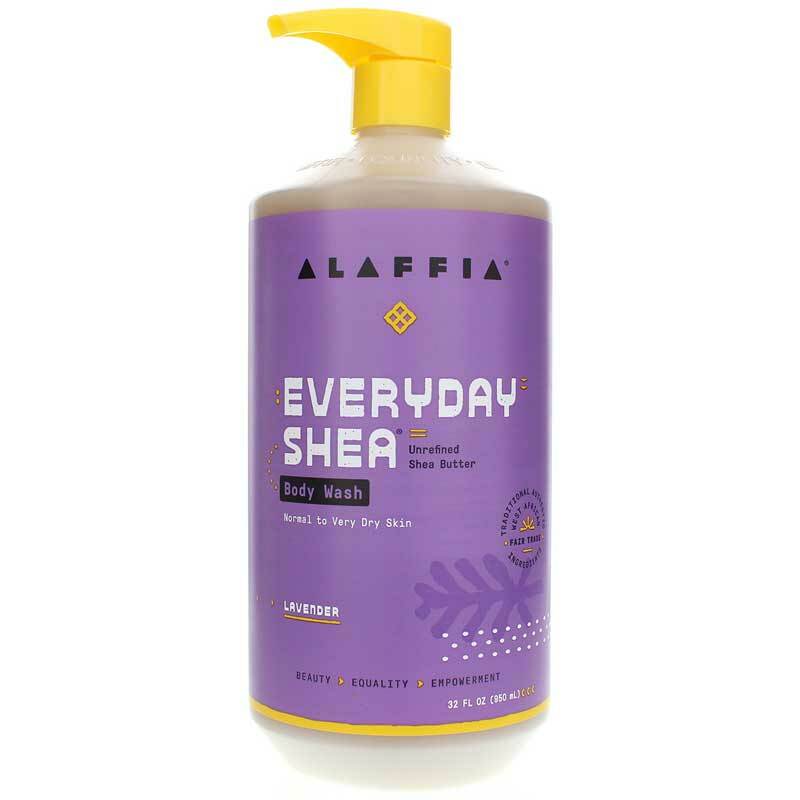 Lavender Everyday Shea Moisturizing Body Wash from Alaffia is rich-lathering, paraben-free body wash that contains a blend of Certified Fair Trade unrefined shea butter, virgin coconut oil and protective West African neem extract. Together, these ingredients form a natural body wash that foams well and cleans completely without stripping skins natural oils. Azadirachta indica (Neem) Leaf* Aqueous Extract, Saponified Butyrospermum parkii (Shea) Butter* and Cocos nucifera (Coconut) Oil*, Cocamidopropyl Betaine, Lavandula hybrida (Lavender) Oil. Squeeze body wash onto a wet loofah, scrub or wash cloth and work into a lather on body. Rinse. May also be used as a hand wash. I love the economy of this bodywash and also that it has no "junk" in it! It smells good and it is very silky and moisturizing. This is the first winter I've used this brand of body wash & it's also the first winter that my skin was not dry. The shea butter & coconut oil leaves my skin naturally smooth. It has an enjoyable, light lavender scent that you will love! 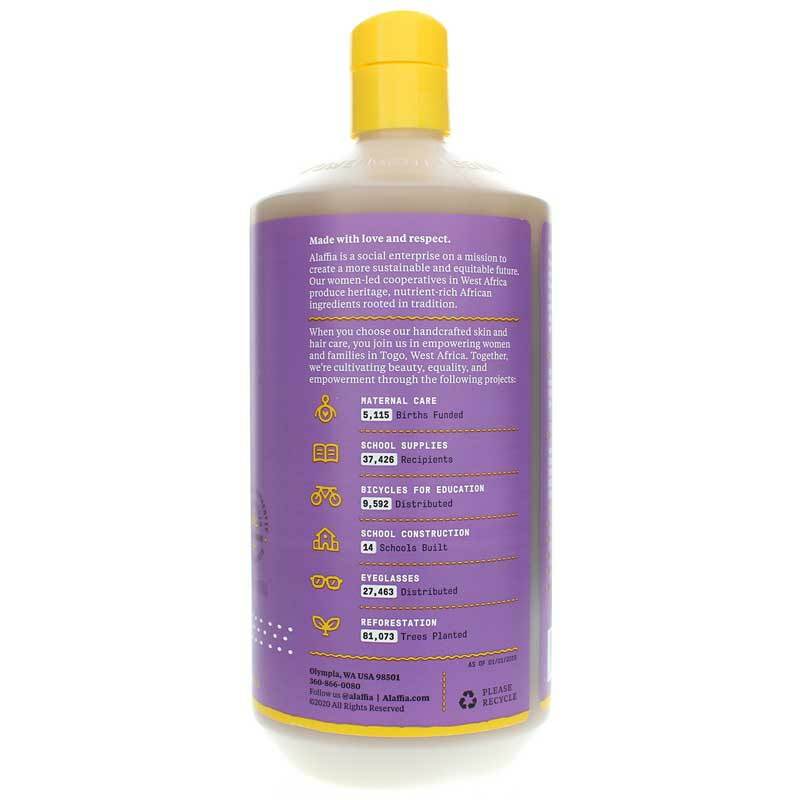 My family loves this body wash. Great smell and an easy to use pump. We especially like that it helps people in need.